This private tour from Bucharest to Brașov is designed for those active travelers with a passion for outdoor activities. During this trip to Brașov you will have the opportunity of an easy hike in one of the most beautiful canyons in Romania, see a panoramic view over a medieval town and an outstanding UNESCO site. In the morning your private tour guide will pick you up and you will depart north to the Carpathian Mountains. After a scenic drive along the Prahova Valley you will have a short stop in Sinaia city. Admire the royal residence of King Charles I of Romania, the Peleș Castle and its surroundings. After serving lunch in Sinaia (optional) continue the trip to Brasov and stop in Timișul de Jos village to visit the main tourist attraction from the Piatra Mare Mountains. 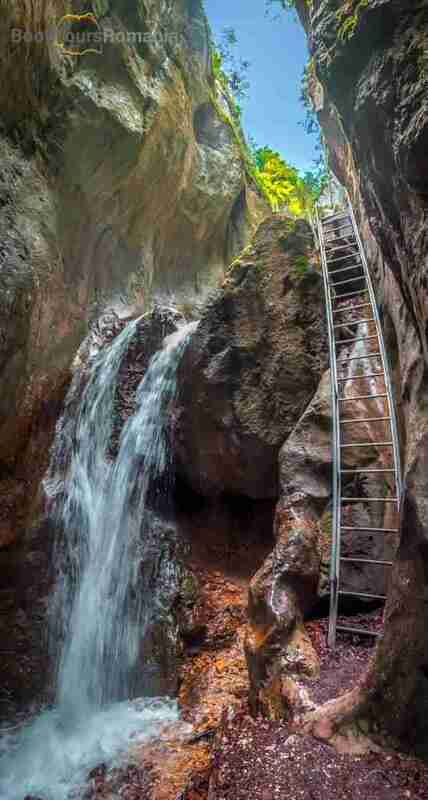 During a 3-4 hours easy hike you will get to see and pass through the Seven Ladders Canyon. 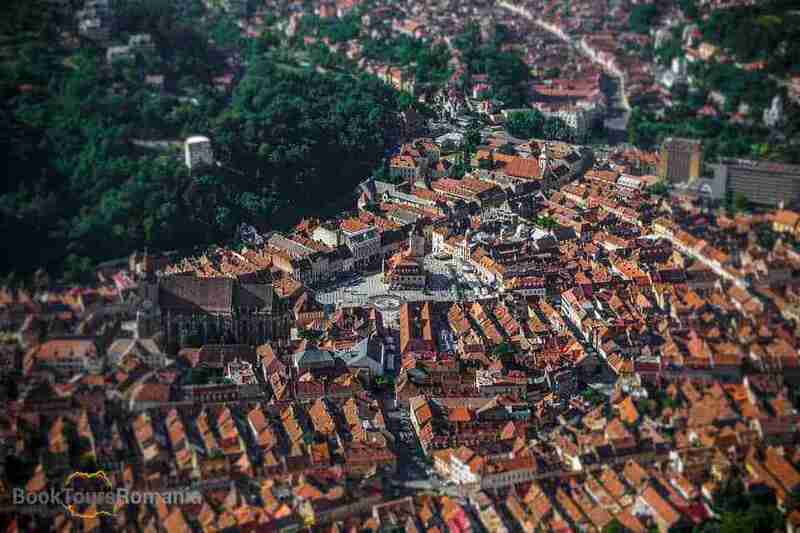 In the late afternoon you will reach Brașov and after checking in to your hotel, you will have an orientation tour of the old town. After breakfast you will enjoy a detailed walking tour of the old city. You will see the famous landmarks of Brașov, by visiting the Black Church, the largest Gothic church between Istanbul and Vienna. The rest of the tour includes the Council Square, Rope Street – one of the narrowest streets in the world. Catherine’s Gate – the only original city gate to have survived from medieval times. Also, will be seen the Black Tower, the White Tower and the First School in Romanian language. 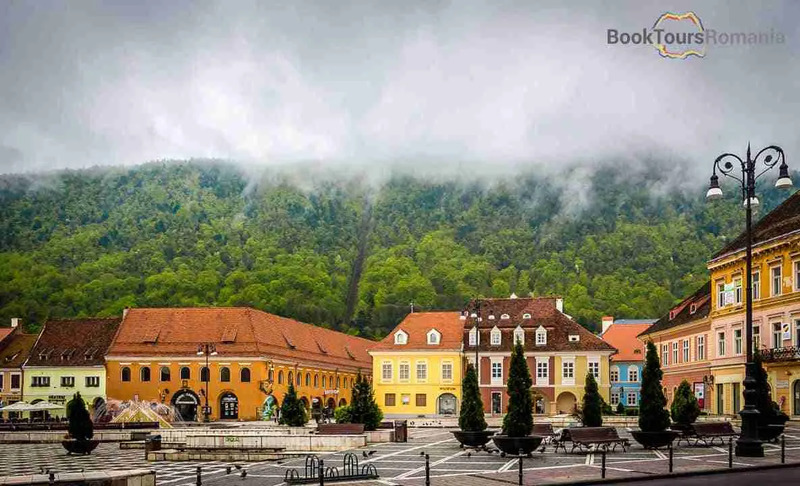 By the end of the walking tour you will have a ride with the cable car or hike to the nearby Tâmpa Mountain for a panoramic view over Brașov. After two days full of outdoor activities in Brașov, you will return to enjoy the city life of Bucharest. In the evening, your guide will drop you off at the hotel.